The nascent federal agency designed to find new ways to finance construction of transit systems is making its first investment in a multibillion-dollar electric rail system in Montreal. The Canada Infrastructure Bank will provide a $1.28-billion loan to help build the $6.3 billion system largely managed and funded by Quebec's pension regime, with interest rates rising from one per cent to three per cent over the 15-year term. The transit project, best known by its French acronym REM, had been singled out by the Trudeau Liberals as a potential early win for the financing agency, which was created last year to hand out $35 billion in federal financing in the hopes of prying much more than that from private backers to fund construction work. The infrastructure bank's first announcement has been many months in the works, even as critics have complained that the agency — and the government's infrastructure funding more generally — have been slow to get off the ground. 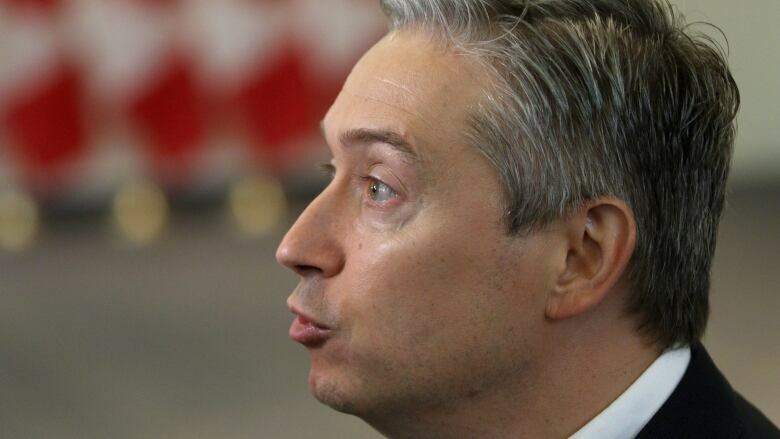 "What we said from the beginning is that the infrastructure bank would allow (us) to do more for Canadians and this is what we're doing," Infrastructure Minister Francois-Philippe Champagne told reporters at a cabinet retreat in Nanaimo, B.C. "That's a flagship project where we think we can attract foreign investors as well and this is our first (project), so we need to talk about it." Wednesday's announcement from the infrastructure agency arrived on the eve of Quebec's provincial election campaign scheduled to launch Thursday. The Quebec Liberals face a steep climb to remain in office after the Oct. 1 vote. Meanwhile, the federal Liberals' infrastructure program received another critical review from a parliamentary watchdog questioning spending progress and economic impacts. A report Wednesday from Parliament's budget officer estimated the first tranche of money in the Liberals' infrastructure program boosted the economy last year by at most 0.16 per cent and created no more than 11,600 jobs. Budget officer Jean-Denis Frechette's report said economic effects from the $14.4 billion budgeted in the first phase could eventually be wiped out if the Bank of Canada continues to raise interest rates. Federal infrastructure funding can't flow to provinces and cities until they submit receipts, which often creates a lag between when work happens and when the federal government pays out. Frechette's report said $6.5 billion has been spent to date from the $14.4 billion, with large shortfalls under the "green infrastructure" banner supposed to address climate change and public transit, where $282 million of $3.4 billion has been spent.